Simpals presented the first episode of the cartoon about Dji—an unlucky Death. The presentation coincided with the International Animation Film Festival—Animest’2012. It was very… funny! The Dark Knight has appeared in a different form. No, he is not white and fluffy. Dji is just terribly unlucky. All he has to do is to take the soul of a dying man. But the screenwriters prepared some obstacles for Dji. Will he manage to overcome them? You’ll see. By the way, the authors say that they prepared a series about Dji and the second episode is on the way. “Dji. 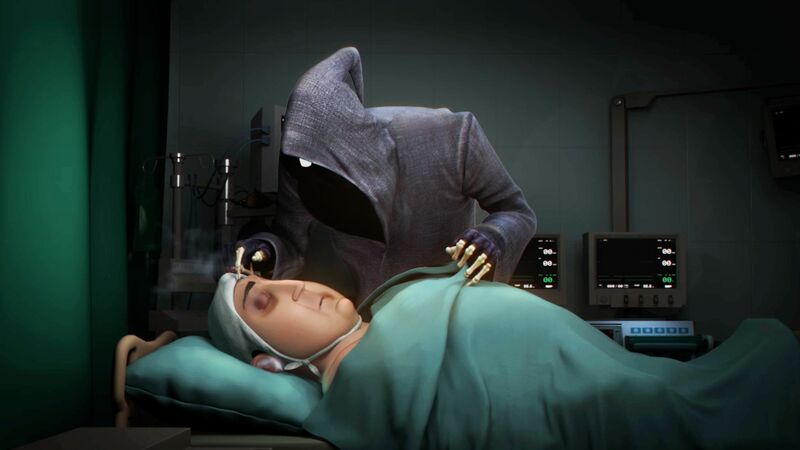 Death fails” is a prequel to the animated film “Gypsy”. «The story of «Gypsy «is so saturated that we decided to introduce Dji as one of the main characters in advance,»—say the creators of the cartoon. To be continued!